BBC Radio 4 - Open Country, London: A National Park City? There's a campaign gaining ground to make London a National Park City. But what exactly does that mean? David Lindo meets the campaign founder Dan Raven-Ellison to find out. There's a campaign gaining ground to make London a National Park City. But what exactly does that mean? 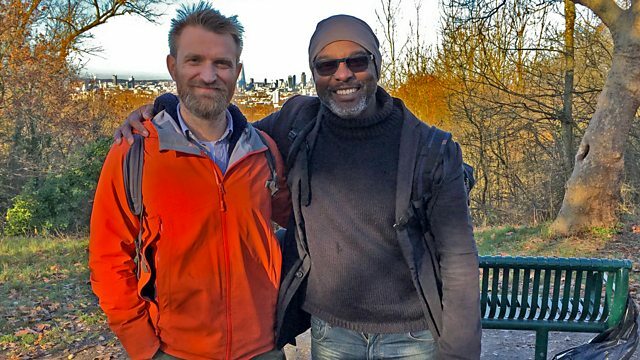 David Lindo meets the campaign founder Dan Raven-Ellison to find out and goes on a journey across London to see for himself why anyone would think the UK's biggest city could qualify for such a title. Along the way he finds a ghost of a river, an enthusiastic ornithologist, and some paddlers who call Regents Canal their breathing space.